Item Size Length: 63" x Width: 37" x Height: 30"
Sleek and modern design. Instantly catches the eye. This modern dining table has an opulent look that will turn any meal into an occasion. Whether enjoying a quiet meal with the family or entertaining guests, this table handles the task gracefully and offers impeccable quality to match its luxurious look. 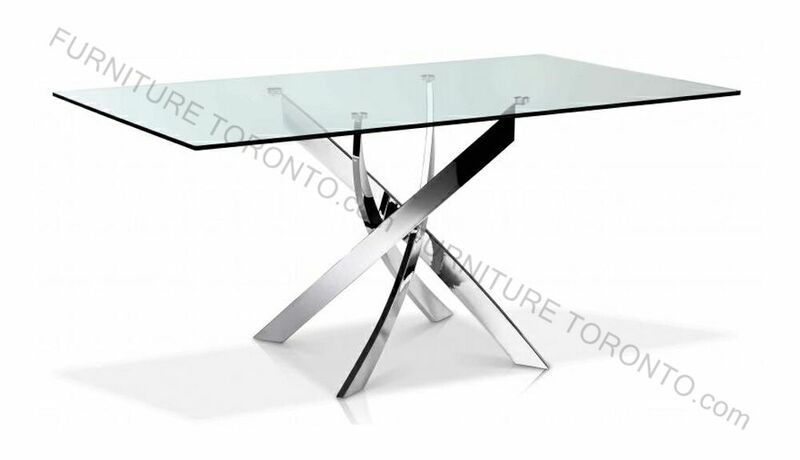 The table?s top is available in your choice of rectangular or round shape.